Born on December 8, 1900, in Platteville, Wisconsin, Irving F. Stocker came to Kenosha in the fall of 1925 and spend all but one year of his working life as an educator in Kenosha. He earned a Bachelor of Education degree from the State College at Platteville, Wisconsin, in 1924, with majors in Science and Secondary School Administration. In 1937, he earned a Master of Arts degree from Northwestern University in Guidance and Secondary School Administration. He spend thirteen and half years teaching at Washington Junior High School. In 1944, he was named assistant principal at Kenosha High School (which was renamed Bradford High School in 1964) and held that position until his retirement in 1966. Mr. Stocker was known for creating and maintaining discipline among students attending his high school. 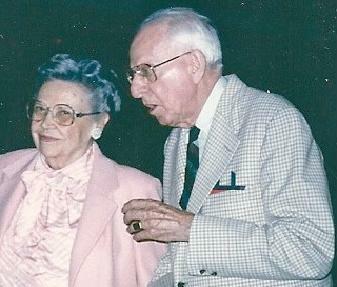 Irving F. Stocker passed away on February 10, 1992. He saw many changes in his life. He served as both a teacher and as an administrator in Kenosha during the Great Depression, World War II, the Korean War, and the Vietnam War.